With soil temperatures warming and above-average soil moisture across much of Nebraska, climatologist Al Dutcher looks at what to expect in the planting season forecast for late April. Figure 1. Distribution of survey fields across the north central US. Red circles denote individual fields and the green area shows the region of soybean acres. (Source: USDA-NASS. (2019) USDA-National Agricultural Statistics Service (NASS), National Cultivated Layer). A four year study in Nebraska and other north central states found that planting date was a leading factor explaining the gap between current soybean yield and potential yield. The gap ranged from 11% in irrigated fields in south-central Nebraska to 21% in dryland fields in eastern Nebraska. Which Dicamba Product Should I Use as a Burndown Before Planting Soybean? To help manage cropland damaged by Nebraska’s severe spring weather, NRCS is providing funds to plant cover crops on cropland acres. Cover crops prevent erosion, improve soil’s physical and biological properties, supply nutrients, and suppress weeds. Figure 1. Reductions in nitrification over time based on temperature. The environmental conditions allowing for anhydrous injury in 2018 are different then what we are experiencing this year. This brief looks at factors affecting the conversion from ammonia to usable soil nitrate. Did the tough winter take out some of your alfalfa? Assessing alfalfa stands now and acting quickly can help you minimize long-term losses. Mark Rosegrant, research fellow emeritus at the International Food Policy Research Institute, will discuss managing water and agriculture for sustainable food security during the next Heuermann Lecture on April 30. Timely stories for crop and livestock producers on markets, risk management, ag policies, and more. Peer-reviewed, objective information on a wide range of topics. 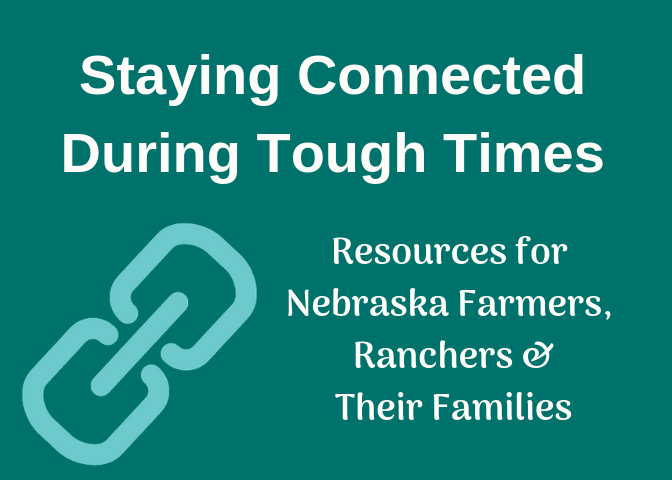 Tune in to these on-line audio clips for information for farm, ranch, and home.